Deep in Valais Alps, overlooking the snowy resort town of Zermatt, looms the Matterhorn. At 14,692 feet, the mountain is only Switzerland’s 10th highest peak, but is indisputably its most famous, with an unforgettable pyramidal summit and a slippery, precipitous north face that remains a deadly challenge to even seasoned mountaineers. 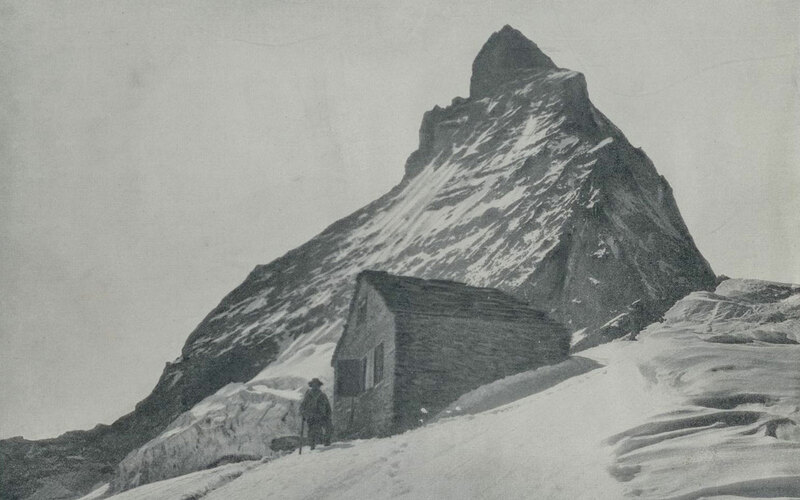 July 14 marks the 150th anniversary of the first ascent in 1865. 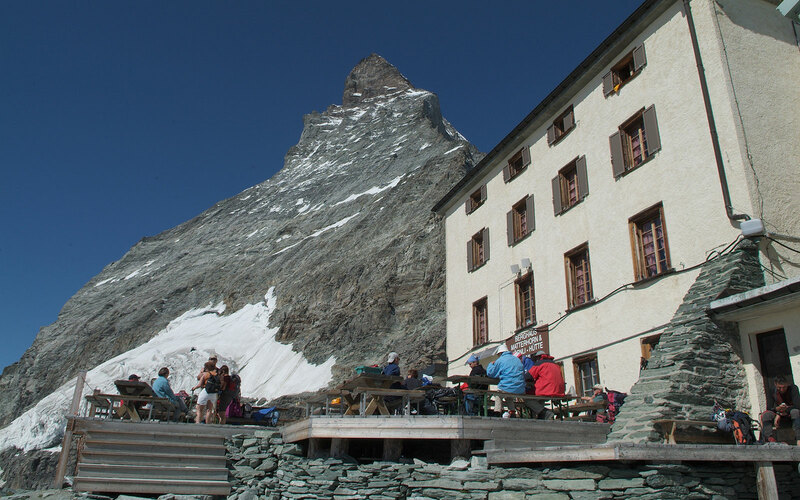 This year also marks the reopening of the Hörnlihütte, a traditional Swiss mountain inn originally built in 1880 that signals the halfway point of what is normally a two-day ascent and the starting point on summit day. Here, climbers seek refuge (and a restful night’s sleep) before donning headlamps for the 3:30 a.m. push to the top. Perhaps the most notable difference in the new space, aside from its beautiful face-lift, is a reduced number of beds (from 170 to 130), aiming to limit the number of climbers per day and ensure more safety on the mountain. Though, on this particular July 14, not a single climber will make the attempt, in honor of the first ascenders.